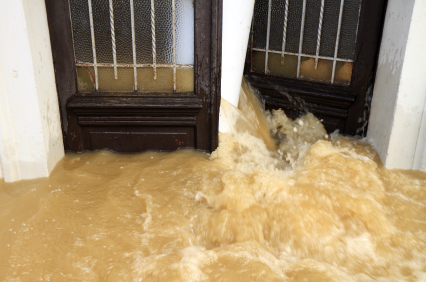 Flood insurance policies generally cover the house, attached structures and detached garages, as well as permanently installed fixtures such as shelving, cabinetry, furnace and radiators, plumbing, stoves, ovens and refrigerators. Since basements and ground floors tend to be especially hard hit in floods, policies cover electrical junctions and circuit breakers, utility connections, central air conditioning units, the foundation of the house and unfinished drywall for ceilings and walls. Total structural coverage is capped at $250,000.–Contents coverage: If you opt for contents coverage, the maximum amount is $100,000. This extends to furniture, housewares, bedding, clothing, lighting fixtures, books, home electronics, washers and dryers, food freezers and the food in them.